Dr. Jeanne Eckert is certified with the American Board of Obstetrics and Gynecology, and has been practicing at The Women’s Group in Pensacola, Florida since 1996. She enjoys helping patients of all ages with their obstetrics and gynecology needs. Dr. Eckert is a member of the Florida Medical Association and the Escambia County Medical Society. She previously practiced at the Emory University Department of Gynecology and Obstetrics as an assistant professor. Dr. Eckert performs some surgeries using the daVinci Surgical System at Baptist and Sacred Heart hospitals. Dr. Eckert was born and raised in New Orleans. She attended the University of New Orleans where she received a Bachelor of Arts degree majoring in Biology. 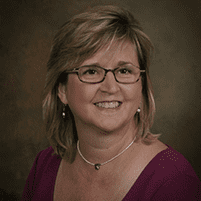 Dr. Eckert received her medical degree in 1990 from Louisiana State University School of Medicine. She completed her residency in 1994 at Emory University School of Medicine. She has received honors including the American Medical Women's Association Achievement Award and the Biological Sciences Academic Achievement Award. She likes to spend her free time with her family, husband Richard Hawkins and daughters Olivia and Madeline, as well as her dogs Roy and Lulu.